Project Aim: VOLT aims to explore applications of distributed ledger technologies (DLT) in domains involving voting and collective decision making. 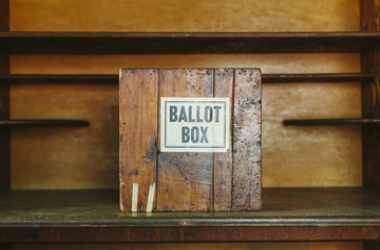 There are many domains in which some form of balloting is required, such as voting on proposals or electing in charities, professional organisations, clubs, trades unions, political parties, and private companies. It is important to run such ballots in a way that the result is accepted by all parties even where they do not trust each other. Current election systems require trusted individuals or third party organisations to run the ballot, which places reliance on their honesty and also on their ability to secure the election against any form of malicious attack. The fact that many such elections are still run using paper ballots demonstrates that this remains a real concern for organisations despite the advantages of convenience, cost and efficiency that electronic elections may bring. Given the associated security issues around the management of electronic votes, it is natural to consider the use of DLT platforms to provide a trustworthy basis for such systems in recording and aggregating votes, since they can provide transparency and an agreed tamper-proof record of the election. The project will investigate how this can be achieved while maintaining the necessary levels of security, and in particular how this is impacted by the underlying design of any particular choice of distributed ledger technology. The introduction of DLT into the voting domain also enables new possibilities for voting schemes. 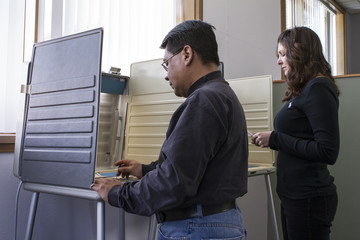 Political systems around the world have evolved complex election systems, for example single transferrable vote, where the results are cumbersome and time-consuming to calculate, but where the result is considered to better reflect the will of the electorate and hence worthy of this effort. However for non-political elections run with paper ballots this effort is generally prohibitive. Social choice theory within Political Science considers how different voting systems can affect how choices are made, and the ability to support such systems electronically enables the viability of schemes whose tallying mechanisms are more complex but which may give results which match more closely the collective choice of the voters. Hence the project will also investigate the potential impact on organisations and their governance and decision making processes through the variation of voting schemes. DLT also supports the management of more complex voting rights held by individuals. In many private company applications, particular shareholdings have specific rights and privileges. For example, the originating shareholders of a company may have pre-emption rights over the sale of shares by later shareholders, or priority rights to compensation in the event of a bankruptcy of the company. At present, for privately-held companies, shareholdings and the rights associated to them are generally recorded in written contracts and the relevant information held only in spreadsheets. At least in principle, DLTs could readily support voting in such contexts, with the specific rights accruing to particular shareholders being encoded in agreed smart contracts - i.e., automated (self-executing) performance scripts that also sit on the distributed ledger. A strand of this project will aim to explore the practicality of such ideas. Although the project is not investigating political or statutary elections at this stage, a strand of the project will consider the longer term roadmap for the technology. As well as considering the longer term impact on organisations through new governance and decision making possibilities, this will include consideration of how DLT may play a part in emerging designs for electronic voting systems for political elections. VOLT is funded by the RCUK Digital Economy Programme via the EPSRC. The Digital Economy programme aims to transform society and business through co-developed technologies arising from research programmes that span both technology and the social sciences. VOLT is part of the University of Surrey's Distributed Ledger Technology (DLT) testbed that integrates cross-disciplinary expertise, DLT infrastructure and end-user groups engaged across diverse domains to deliver cutting edge innovation in Blockchain and DLT for industry and the public good.